Rome Vatican B&B is family-run and ideal for those who prefer a central location at budget rates but with all top quality hotel services. It is just 4 blocks from Vatican Museums and from Metro Stop, A Line, “Cipro”. In the common area: a mini-fridge, coffee / tea facilities & microwave are available. It has an outdoor covered terrace ideal for breakfast, especially during the warmest months (which is quite often, here in Rome). The rooms are all equipped with air conditioning, 32’’ wide flatscreen sat TV, hairdryer, and the essential Wi-Fi. Rome Vatican B&B is located in a strategic area of the city, so close to tourist attractions and monuments but also with an efficient network of public transportation services, to move around all areas of the city. It is also located in an ideal neighborhood for shopping and offers a wide variety of typical restaurants and trattoria’s. From Fiumicino Airport you can easily reach the B&B by a private bus – Sitbusshuttle plus 492 bus (just 4 stops). From Termini railway station take the Metro A Line for only 7 stops, then get off at Cipro. From Ciampino Airport you can easily reach the terminal of Metro Line A, Anagnina, by bus. 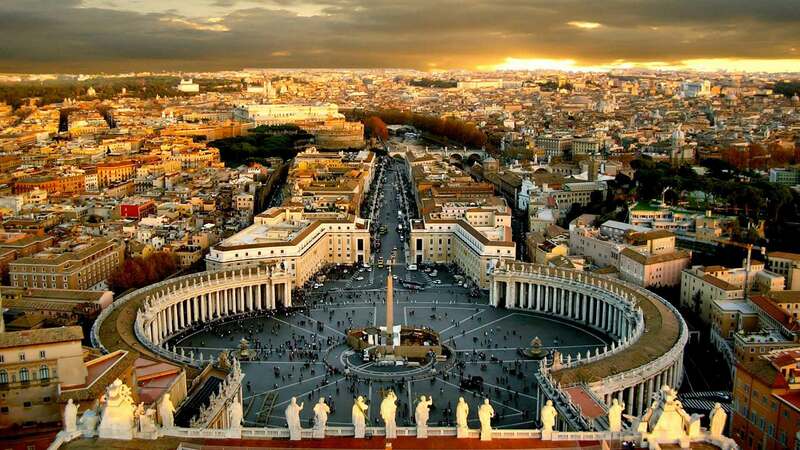 If you want to contact Rome Vatican B&B please call +39-06-45432398 or +39-338-2428709 or +39-333-3374320. Or you can contact us by filling out the form on the Contacts page. You can also book your stay directly through the box located on the Homepage or in the Rooms section.